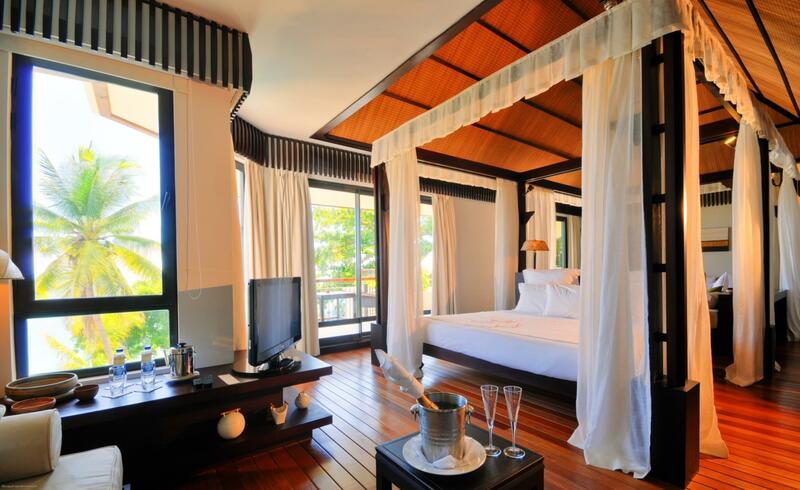 ﻿ Le Cardinal Luxury Boutique Hotel (Le Cardinal Exclusive Resort) Pulau Mauritius. JIMAT di Agoda.com! Ada soalan mengenai Le Cardinal Luxury Boutique Hotel (Le Cardinal Exclusive Resort)? Terletak pada kedudukan yang baik di kawasan pantai, romantik di bandar Pulau Mauritius, Le Cardinal Luxury Boutique Hotel menyediakan tempat yang paling sesuai untuk anda berehat seketika dari kesibukan hari anda. Hotel ini tidak terlalu jauh dari pusat bandar: hanya sejauh 5.0 Km, dan kebiasaanya mengambil masa kira-kira 70 minit untuk sampai di lapangan terbang. Hotel moden ini berada di sekitar kawasan tarikan bandar yang popular seperti Pantai Trou aux Biches, Tempat Pelayaran Troue aux Biches, Tapak Diving Holt's Rocks. Di Le Cardinal Luxury Boutique Hotel, segala usaha dilakukan untuk membuatkan tetamu berasa selesa. Oleh yang demikian, hotel ini menyediakan perkhidmatan dan kemudahan yang terbaik. Kemudahan utama hotel termasuklah khidmat bilik 24 jam, Wi-Fi percuma semua bilik, pengawal keselamatan 24 jam, pengemasan harian, kedai cenderahati. Suasana Le Cardinal Luxury Boutique Hotel terpancar di dalam setiap bilik tetamu. televisyen skrin rata, internet wayarles, kolam renang peribadi, internet wayarles (percuma), tab mandi pusaran air hanyalah sebahagian daripada kemudahan yang boleh didapati di hotel tersebut. Di samping itu, pihak hotel menawarkan aktiviti rekreasi untuk memastikan anda mempunyai perkara untuk dilakukan sepanjang penginapan anda. Dengan lokasi yang ideal dan kemudahan sepadan, Le Cardinal Luxury Boutique Hotel sangat memuaskan hati. Tetamu yang menempah bilik Suite Junior, Emper atau Emper Deluxe boleh membawa seorang kanak-kanak berumur 3-11 tahun dan akan dicaj EUR 50 semalam untuk sebarang pelan makan yang dibayar di penginapan semasa mendaftar masuk. Friendly staff. Very nice penthouse wit stunning view and privacy. We enjoyed our holidays. Le Cardinal is indeed an Exclusive Resort. A limited number of rooms, great location and comfort. We were lucky to get an upgraded room (duplex with an amazing sea view)! The restaurant offers a very interesting menu, great cost-benefit if you include dinner in your reservation. The boat house offers several activities for free, which can also save you some money. Nice beach and superb place to watch the sunset! Negative point: The staff was sometimes too kind and too insistent to please. Good location. Nice and clean. Friendly staff. Will return back again. We absolutely loved our time here. The room is spacious and well appointed. The hotel is beautiful and the staff friendly. I loved the beach and the snorkelling. Take some DVD's as most TV channels are in French. Just a note, the happy hour does NOT include ALL beverages as they indicate on the info in the room, so be sure to check before you order. I love this hotel. it's cosy, not too big but very elegant, with a wonderful friendly staff. nothing in this hotel out of place. almost everything was perfect. we chose this for our honeymoon and it's amazing to wake up in the morning to see the view, it's remarkable. I thank Hena, Nawaz and every one else for our stay and the great memories. Don’t get fooled by the price !!! Le Cardinal takes service exccellence to a new level. 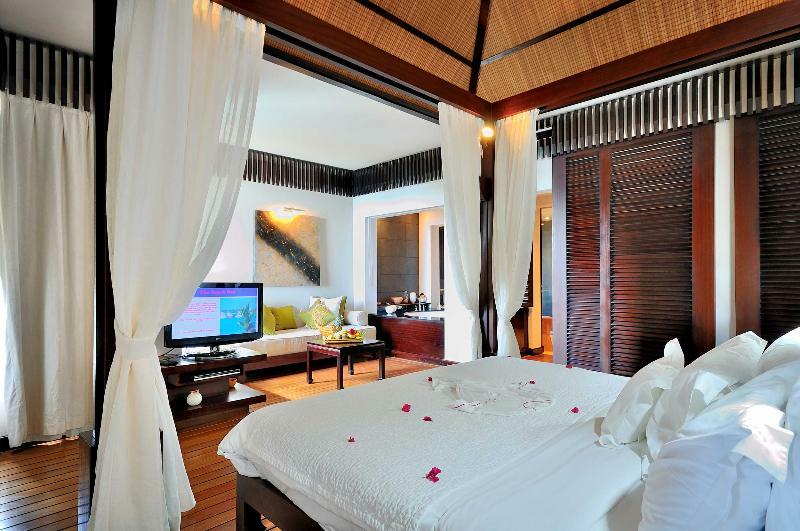 This intimate and exclusive resort so the perfect getaway for couples. The al la carte menu is delicious and every dish arrives perfecty plated. 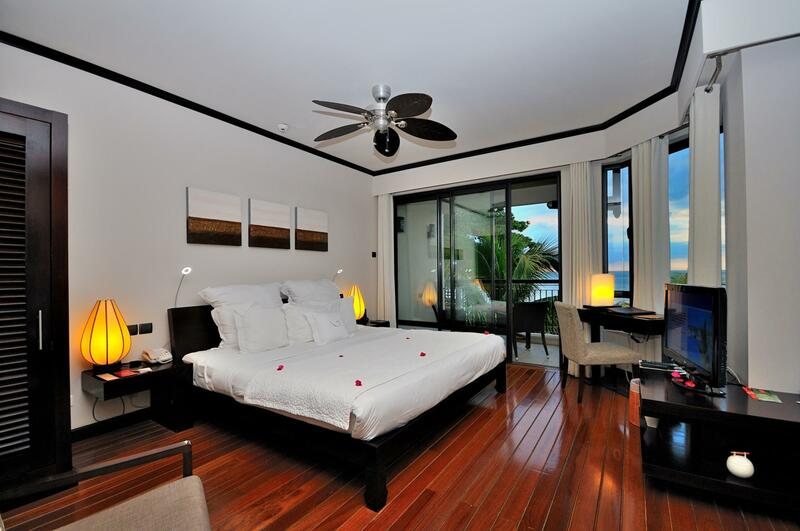 There are more than enough sunbeds on the private beach and the Rooms are spacious and well appointed. We can't wait to go back! We booked for 1 week in Jan. 2018 but left earlier because of a cyclone. Thus, we stayed just 4 nights. Short reckonings make long friends: We had to pay for the entire week including meals without any compensation! Statement: Our booking would be a flat rate. "Le Cardinal" treats every premature departure as "no show". Impressions: Pros: location right on the seashore, tranquility, beautiful green area, spacious rooms with ceiling fan and air conditioning, breakfast buffet, good manners of the staff, good work of the room service and security service. Cons: measly portions at a la carte dinner, all sorts of supplements despite half board, unheard level of drinks prices, rather average beach with lots of sharp coral, free but outdated water sports equipment (eg surfboard at least 30 years, sails not trimmed), control of the exit and entrance, in-crowd mood. Conclusion: value for money suboptimal, comfort disturbed in our case. Next time choose another accommodation. This hotel don't worth the five star! !i found gecko everywhere,i found gecko in my room,call the house keeping but the they couldn't make it right in two hours.and the house keeping didn't replace the tower！as this price,the doesn't worth it!! This hotel is simply brilliant! 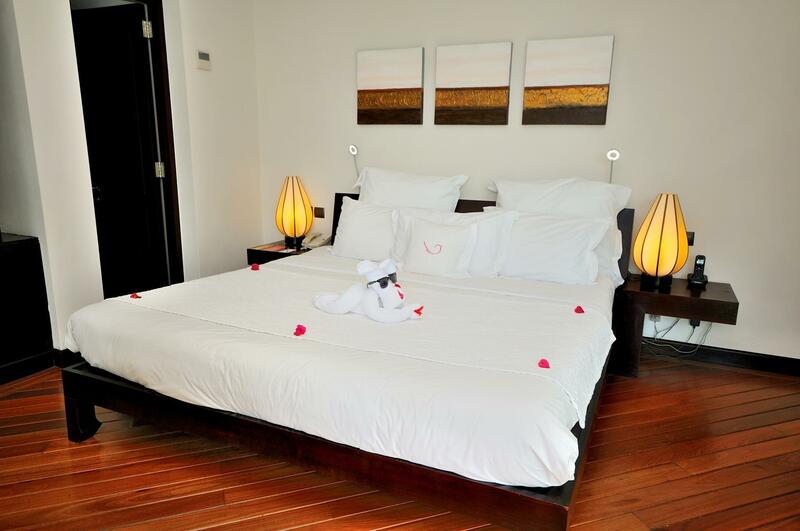 Room and beach area is very clean and pretty, food was great and staff's excellent performance made our honeymoon trip really memorable. Le Cardinal is in an excellent location. Hotel is small and has a few guests which is perfect. The rooms are a perfect size and very comfortable. The beach is a few metres away and not packed. Hotel staff are friendly and the hotel itself is well maintained. 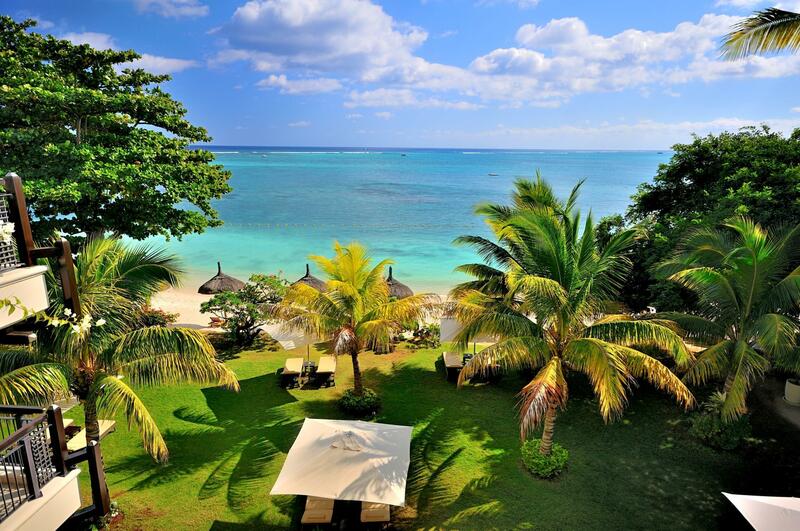 A definite must to spend a holiday in Mauritius. We enjoyed a lovely three night stay at Le Cardinal. The experience was somewhat marred, however, by alcohol prices that are little short of outrageous. Whilst I understand that Mauritius is an island, and that there are import duties and middlemen, paying as much for single bottle of South African wine as would yield no fewer than ten bottles of the same wine from a retail outlet in South Africa, smacks of profiteering on a grand scale. Even local rums are massively overpriced and detracted from enjoyment of a cocktail on the beach lounger. Also, the practice of only providing complimentary bottled water for the guests on the first night leaves a bad impression. Bottled water of the quality provided (not Perrier or even San Pellegrino)- I think the brand was Crystal, is inexpensive enough to provide to guests on a gratis basis. The goodwill generated will far outweigh the minimal cost. 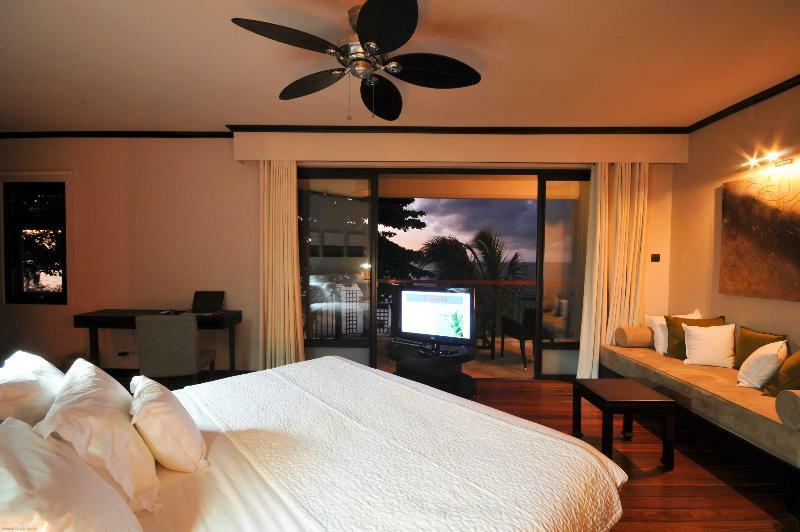 The luxury of the room and the closeness to the beach as well as the privacy. Everything was GREAT!! We were so pleased and would recommend this place to anyone. I especially like how small the place is so it becomes really private and romantic. The only negative thing I have to say is that the girl who was working on the weekend in the reception was very rude when we were checking out. The other girl who I believe is working there during the week was extremely helpful, polite and nice. Beach activities included free. Large round bath tub Roomed cleaned twice a day. Fantastic. Everything you could ask for from a beach holiday. Stay here if you like the extra personal touch such a lovely boutique hotel can offer. Very good. Would come again!!! The staff was nice, the food was good, and there was always an open beach chair. I enjoyed how peaceful it was. Loved everything about the hotel except the pesky cat that came around during every meal and literally begged for food to the point of almost jumping in your lap. Some travelers didn't mind it but I hate cats. I'd give Le Cardinal a perfect 10 if that cat wasn't so annoying! Only 12 rooms available. All w/ see view. Very personal and individual stay. Delicious food is served! The staff is amazing. Totally recommendable! Very good stay at le cardinal. Spacious rooms all with sea view. Direct access to beach and pool. No shortage of beach chairs. Very friendly staff, who go out their way to please the guests. Fifteen minutes from horel there's some shops and cafés. A small hotel with very quiet surroundings but direct access to the beach and pool. Very friendly and attentive staff. There may be more staff than guests. Every need was attended to. Restaurant even specially prepared a Chinese meal solely for us for the Chinese New Year celebration! Fruits were complimentary everyday, but too much really. The selection of dinner was a little limited. We were very lucky to find this boutique hotel for our honeymoon stay. It turned out to be the unforgettable holiday for us. The hotel was very quiet, secure, right by the private beach. The dinner was fantastic.Staff were all very helpful and friendly.All in all, great experience and highly recommended to everyone who's planning a honeymoon trip to Mauritius.